Sometimes mail.com MailCheck will be deactivated through updates of your browser. If MailCheck is not visible, try to activate the extension. Firefox performs updates from time to time. MailCheck could be disabled in this process. In order to keep using MailCheck, you have to enable the extension. 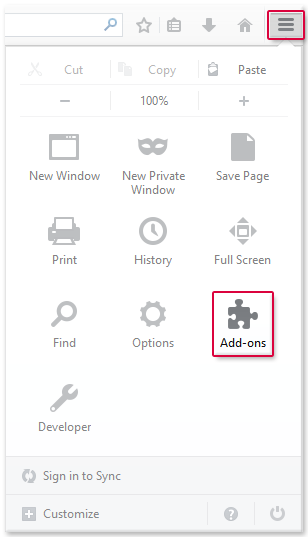 Click the menu button and then Add-ons. Select the mail.com MailCheck entry and click Enable.